Learning about honey bees? 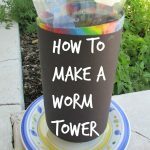 I have some fun stuff for you today! 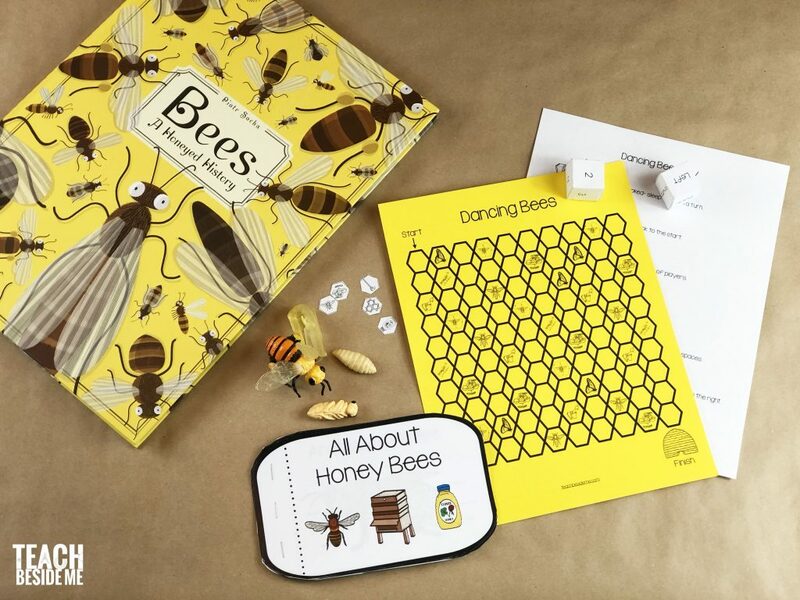 I have a fun honey bee book and a bee game that will help kids to learn all about honey bees. 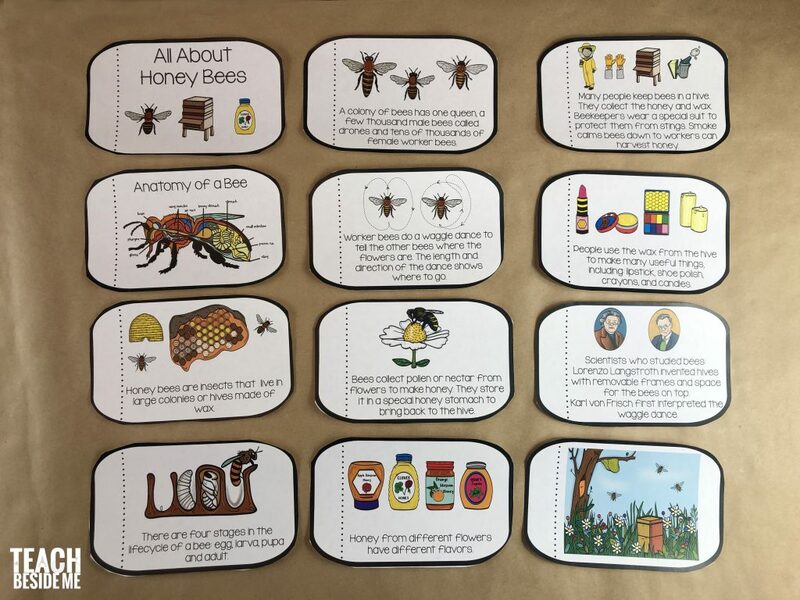 The printable book I made teaches about the honey bee life cycle, the anatomy of a bee, scientists who studied bees, the waggle dance, the types of bees, honey and wax, and more! It’s a fun little mini book for young learners (pre-k-3rd maybe). It’s available in both color and black & white in my printable pack. I love the black & white version because kids can color it and make it more their own. 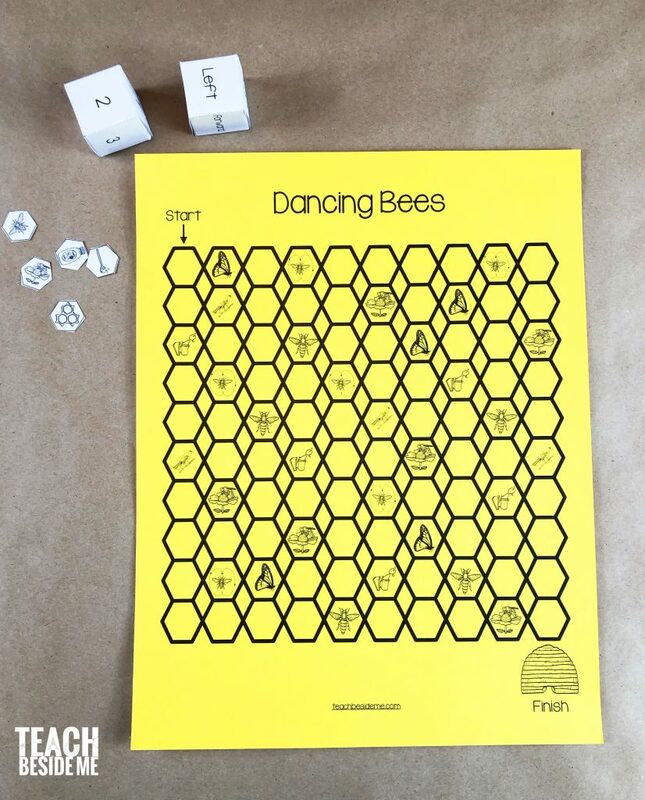 Also included is a fun little dancing bees game. Do you know about the waggle dance that bees do? It’s pretty incredible! 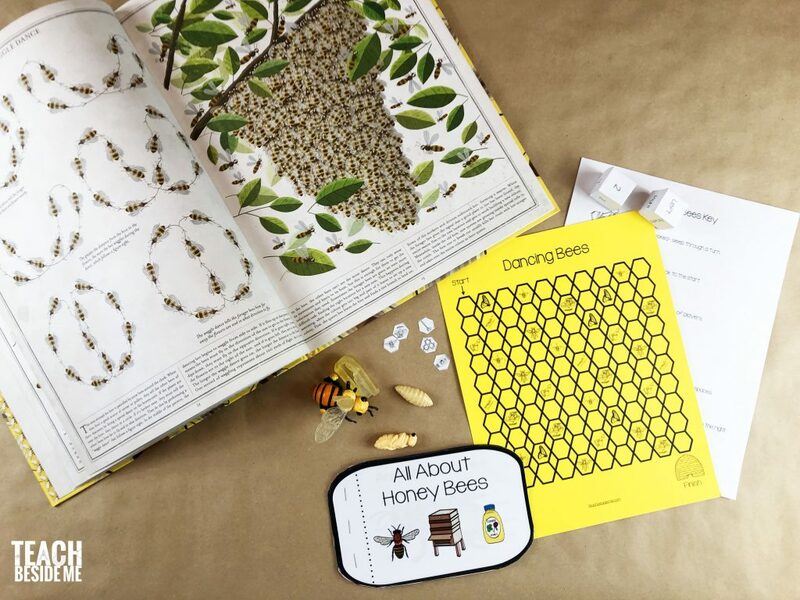 This game has kids waggling all over as they collect honey and bring it back to the hive. You can learn all about it in the book I am featuring this month, Bees: A Honeyed History by Piotr Socha. This book is just plain awesome! It is beautiful and so informative. This is a hard cover large book with over 70 pages. Each page has fun illustrations, and lots of information. It is great for all ages due to the illustrations. They are engaging for young kids and the text interests everyone up to adults. I’ve learned a ton about honey bees from reading it to my kids. This printable pack is 16 pages long. It includes the printable book in both color and black and white. The book is 12 pages ling with two pages per printable page. Then it includes the game and dice, plus some little pieces to use as game pieces, or play with your own game pieces. This is available for a limited time in my subscriber library. Button not working? Click here to subscribe. Also pictured is our bee life cycle model set. 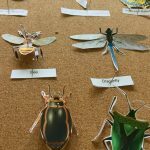 We have a ton of these life cycle sets and my kids love them so much! 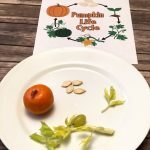 It’s a great way for kids to really picture what each stage of growth looks like. Today I am participating in the monthly Nature Book Club. I love this series so much! 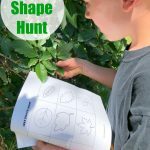 Each month I will bring you a nature-themed activity to go with a favorite book related to a monthly theme. This month’s theme is life cycles. 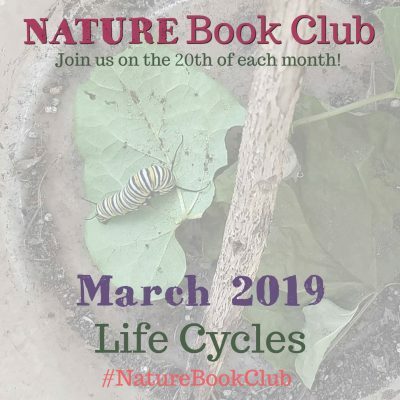 Join our Nature Book Club Facebook Group for more!